Squeak. Swish. Squelch. Tap-tap. "Bum-bum-bum." Squeaaak. When Pennsylvania Ballet takes the Academy of Music stage this December to once again perform George Balanchine's "The Nutcracker," the audience will hear none of these sounds. They will know nothing of the weeks of rehearsal the company has put in, for the 46th year in a row, before bringing this holiday tradition to awe-struck children and their nostalgic escorts. Some have been coming for years, and others will be visiting for the first time. The same, however, goes for the show's cast and crew: while some have spent decades listening to the classic Tchaikovsky score, others -- the youngest of the bunch -- will make their stage premieres dancing to its memorable tune. 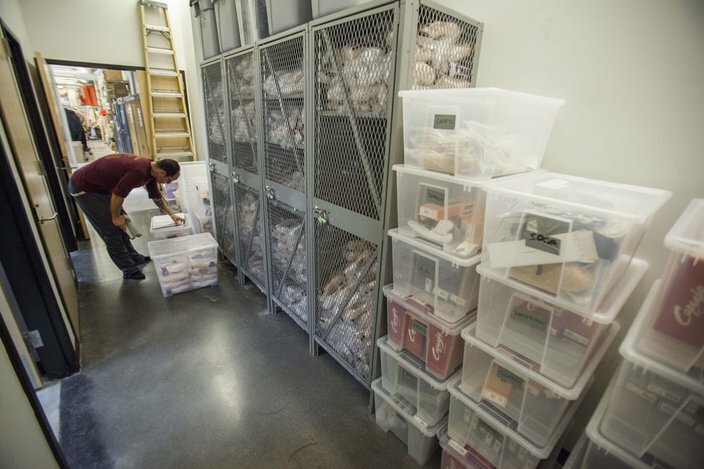 One might think the ballet's veterans would have tired of it all by now. 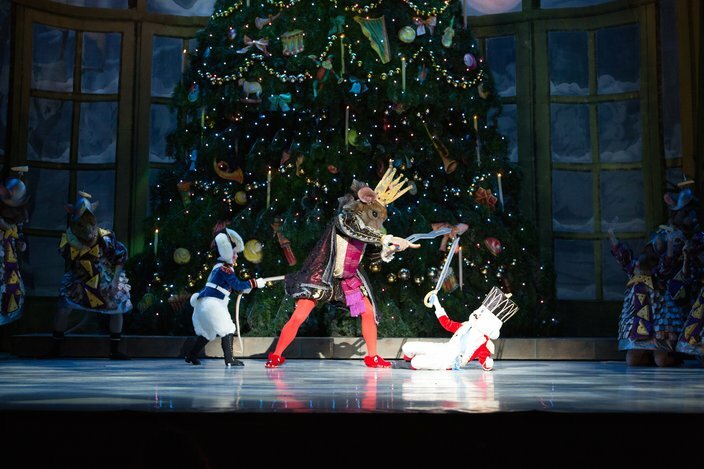 After all, "The Nutcracker" is so inextricably intertwined with the American holiday season that these days it's hard to go shopping without the "Dance of the Sugar Plum Fairy" echoing from every department store speaker. But it's the constant refreshment of resources, both behind the curtain and in the audience, that keeps excitement bubbling as opening night moves ever closer. Many know that company dancers spend their days preparing for shows such as this one, but "Nutcracker" is also the biggest performance of the year for The School of Pennsylvania Ballet. Consisting of around 150 dancers, depending on the year, its students range from 4 years old to 19 or 20. Each year about 100 students get to perform in "Nutcracker" with the professional company. They take on lead roles like Marie and the Prince, as well as those of dancing teas, sweets, flowers and snowflakes. They work all year, sacrificing nights, weekends and their holiday season for the chance to dance with their teachers and mentors at the company. 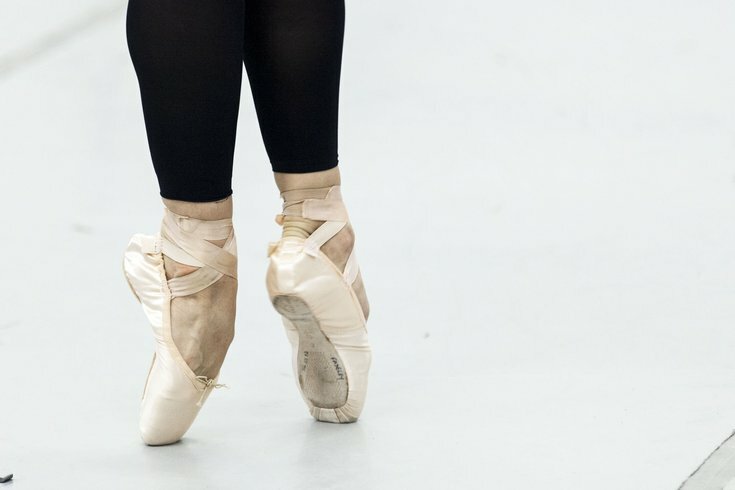 One of those mentors is Arantxa Ochoa, the renowned Spanish ballerina who spent years on the Pennsylvania Ballet stage and is now the school's director. She speaks of her beloved school in a low, excited whisper with a twinkle in her eye, like she's sharing a great secret with you and only you. "It’s a special school. I call it a little jewel," she said on a rainy November day, weeks before the show's opening night. "We not only teach them how to dance, but so much more, you know? We nurture them. We teach them how to be individuals and how to succeed. Some of them may be dancers and some of them may not be dancers, but for them to be the best they can be, we teach them life lessons. I think they learn so much more than just dance." The children don't audition for their spots in "The Nutcracker." Ochoa and her team know the dancers so well that they're able to slot them in where their abilities will shine brightest. For roles like Marie, the little girl whose nutcracker doll gives the show its name, the casting process takes a little something extra, and only a few girls get to take her place each year. "It doesn’t have to be the girl that has the best technique...," Ochoa shared. "They have to be innocent because they still have to think that the nutcracker is the best thing they’ve ever got in their lives. For now, for this generation, that’s hard! They prefer an iPad!" Both Ochoa and Pennsylvania Ballet Artistic Director Angel Corella grew up in Spain, where "The Nutcracker" isn't a holiday tradition, making it a little easier to get excited about the show year after year. "It’s part of Christmas for America, but it’s so much more, and you know that when you’re performing," Ochoa said. "Every time it’s different, and ... for the kids, every year it’s somebody new, so it’s always fresh." Beatrice Affron, Pennsylvania Ballet's music director and conductor, said the live music makes every performance unique to her, despite having seen the show countless times in her 22 years with the company. Just as one finds something new in a favorite album with every listen, she discovers a new aspect of the Tchaikovsky score each performance. It helps, of course, that the score is a challenge for even the most seasoned musicians. "There’s live music, live dance ... there are so many different dancers who are swapping out roles all the time -- you’re really never putting your foot in the same river twice," she said. This is especially true considering how much unspoken communication occurs between Affron and the dancers each night. While the audience can plainly hear the sounds of the orchestra and the Philadelphia Boys Choir during each performance, what they may not notice are slight changes in the music or in the dancers' movements as they respond to each other. "The dancers are so good that the audience really is not aware that unexpected things are happening," Affron said, "But they always do, that’s the nature of live performance. There’s always a kind of electricity that travels back and forth from the stage to the pit, which is really one of my favorite parts of my job." 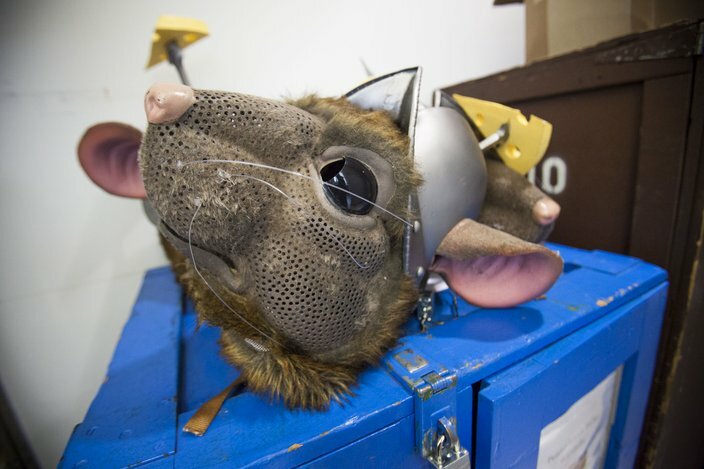 Stage Manager Tony Costandino, who has been with the company for more than 30 years, notes these slight variations particularly during his favorite part of "The Nutcracker," the arrival of the Mouse King. "It’s not always the same dancer playing the part, and I get to the point where I can almost tell who it is without seeing him put the costume on, just from body movements. Because there’s a little comedy in that part, and they all do it a little different." Costandino's responsible for making sure each lighting, set and prop cue goes off without a hitch during the two-hour performance. He jokes he could probably go through "The Nutcracker" cues with his eyes closed and one hand tied behind his back -- but that doesn't mean it's easy. "The only thing that makes it a little bit easier on us is the fact that we’ve done it," he said. "I think with the show, what [viewers] don’t realize is how many people it takes." In addition to the 60 performers taking the stage each night, the Philadelphia Boys Choir and the 42-piece orchestra, the crew makes up another 30 or so members. At the head of it all is Corella. Though he's spent years in American ballet and knows the show well, this will be his first full holiday season with Pennsylvania Ballet since joining as artistic director last year. Taking up the mantle of this local tradition will be a fresh challenge for him, but now his job is to instill his own excitement into the company. "You have to understand that for you it might be the 500th 'Nutcracker' that you’re going to do, but for other people in the house, it might be the first time, so you have to have the excitement of the first time," he said he tells the dancers. Corella's pure joy leading up to opening night, like that of a child on Christmas Eve, is contagious. It's hard to believe any of the dancers would be less than thrilled at the prospect of a new "Nutcracker" season when their director treats every role like a make-or-break performance. "Even with the snow [dancers], you tell them you have to feel like a flake of snow! How would you feel if you were weightless and you were about to fall down on the floor and that is attached to the rest of the snow -- that kind of feeling. It should be there, not just like 'we’re dancing,'" he said. For the old hands behind the scenes, making spirits bright can be tiring, particularly during the last few performances of the year. To make it through, they keep one thing in mind: the audience. "They haven’t had that experience the many hundreds of times that I have," Affron said, "and that’s always a very healthy way to put it into perspective, and very important." "There’s something about 'The Nutcracker' that’s so special," Ochoa agreed. "You come out and you come back stage and you see the kids, and they’re so excited, and you realize how special you are for them." It's this commitment to keeping the story alive, both by adding fresh faces to the cast and reminding veterans what it was like to be one, that keeps Philly audiences coming back. So, no, come opening night, the audience may not know the many hours of practice and sacrifice the cast has gone through yet again to partake in this tradition. They will not know the excitement that fuels young feet or that their smiles fuel older members of the crew. 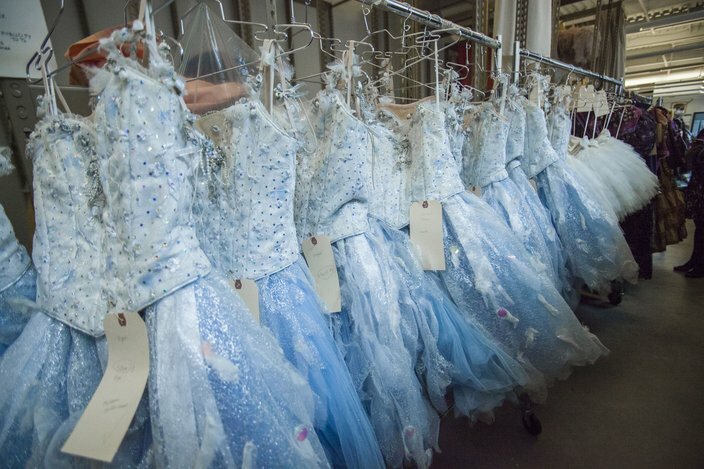 They will not hear the chatter in between practices, the lacing up of hundreds of shoes, or the rustle of tutus. All they will hear is the sound of holiday memories being made.